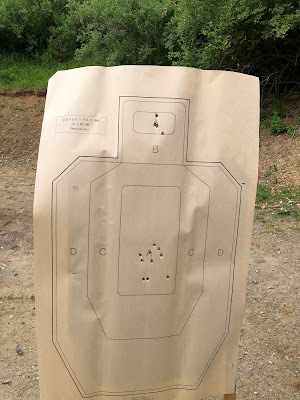 Today I had some time on my hands, it was overcast and rainy so not a good day for flight or the range, so Leah and I decided that, in addition to doing a Pirates Of The Caribbean Movie Marathon, to get a project of mine accomplished that's been waiting around for awhile. 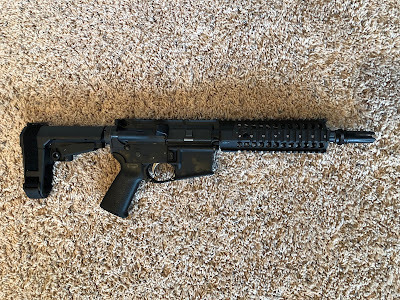 It was time to build my latest AR. The Upper had been done awhile ago and just had an AAC 51T hider attached to it. Now dressed with can and Crimson Trace Grip with laser/light mounted. Just need to add an optic up top and its ready. It is in fact a pistol, as yes, that's an arm brace on it currently. Pretty darn useful arm brace, I must say. 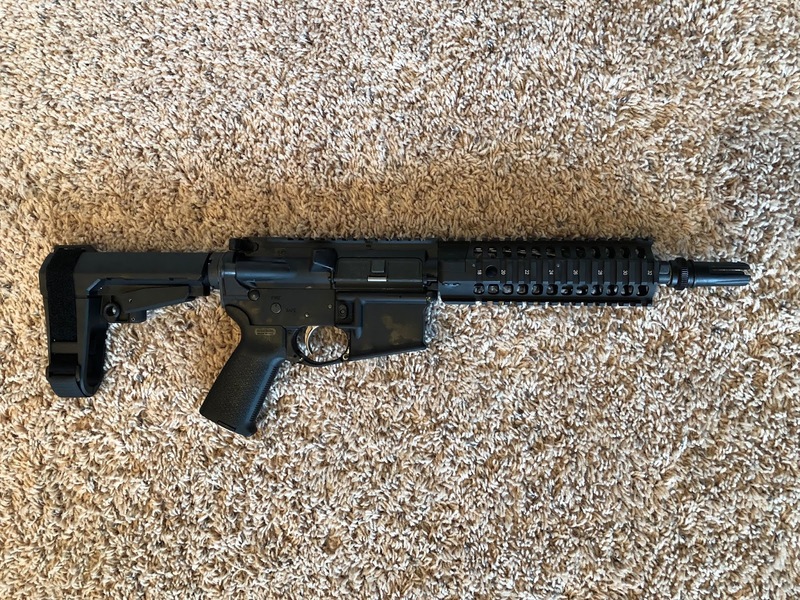 Probably get to papering it as an SBR at some point, but this way I can take it to the range and run it while the paperwork is processing. Update: I took it to the range on Sunday, mounted an EOTech on it from one of my other ARs, and it turns out the Crimson Trace laser grip was dead on with no adjustment needed. First rounds through with no malfunctions of any kind and nice accuracy, and I'd say its a keeper. Leah also liked shooting it and it was as simple as "Put dot on target, squeeze trigger" and she made some nice hits on her target as well. Nothing like building a new AR-15 and introducing your new creation to the world...like a proud parent....Think of Simba being introduced during the Lion King. MrGarabaldi: Yes indeed. It's a nice feeling when you can build something up from parts, there are no parts left over, and it works.